I went to the New World Park Hawker Centre for lunch just now. It is freaking hot but nowadays I no longer need to drive so it is bearable. Just ask the son to bring the car right to the doorstep for me. Woo hoo! Freedom! Rasa macam Mak Datin likedat. Lousy cendol, I hate the large kidney beans. But never mind, since I brought my Nikon D40 with the ccb expensive micro lens, need to take a pic or two. Or else waste my strength carrying it. You know, I freaking cannot stand people who pride themselves for eating healthily. Want to eat healthily, go home and sit diam-diam. Come to this food heavens and eat wholemeal bun and drink teh-o, mai thng (black tea, no sugar). Ptui. And then hor, another talking about the Atkins Diet. Lagi ptui! Got food just eat lah, tok kok so much for what lah! I got 9 prawns in my char koay teow but I pai-oo-loong, set the wrong aperture and the pic turned out too dark. NINE prawns! Burp. Have a good weekend to all. Remember to go for the Bangsa Malaysia Gathering tomorrow evening. See what bloggers can do to bring changes for the better. I am not happy to read about the proposal to change the English laws from Inglund to Syariah Law. After Syariah Law, what’s next? I do not know much about them but as a non-Muslim, I do get fearful about this. I am not saying that Syariah is not as good as English law but I see the word Syariah as an Islamic law applicable to Muslims only. Well, maybe they will explain more to us. (which I don’t expect) So, GO TO THE BANGSA MALAYSIA GATHERING TOMORROW. SK assured me it is not political related. Meaning you are not attending a DAP or PKR gathering. Details on my sidebar. (the one with the hand and flag) SK, too bad I couldn’t make it but my spirit is with you all. You all have my support. Previous Previous post: Pink boxer or Picnic Box? Next Next post: I don’t understand..
will be out of town… else, i will go since my pastor is going. wanna touch on that syariah issue… maybe on monday. Tthe cendol slice look like goo, ewwwwww. And kidney beans! Blek…. And no sweet corn? Law? I though they are talking about Son In Law, and Father In Law . Oh, that is bad, very bad. IMHO, no matter how much icing/topping they put, saya-ria law belongs to 15 century. The BEST chendol is in MELAKA lah. Right to the door step??? Your aparment lifts like those in Auto Bavaria ar? terence – WOI, what 3G until missing ah? moo_t – Mahai, I just see the news and those faces of the palace and Datuk Z. Dem tulan. 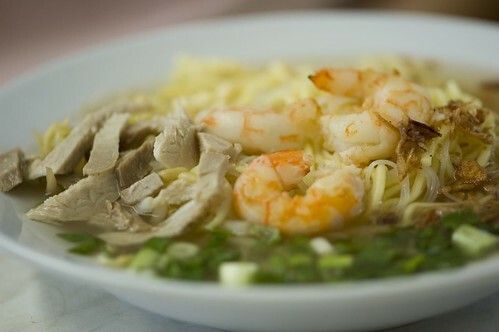 chinnee – Penang Melaka is the best! LOL. zewt – Enjoy yr trip! 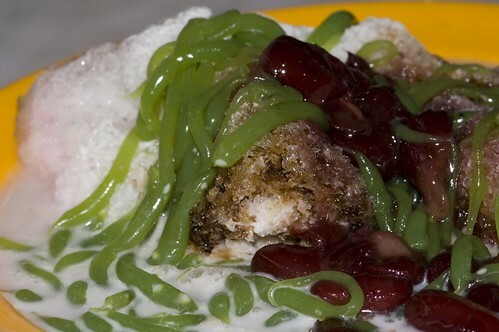 Next time you can try Malacca cendol with gula malacca at Jongker Walk,Malacca Town. It is nice. I do not like beans with my cendol. Have you met people who claim to like cendol but will order cendol without the green “worms” which essentially is cendol? Two of my colleagues just love to slurp the gula melaka soup. Siao right?? Best cendol is from Penang, made by TeoChew in Penang town centre. Best Gula Melaka is from Melaka Town No.100 shoplot at Jalan-Saya-Sudah-Lupa-Apa-Nama. Most luxurious ABC is from Istana Hotel KL I had 7 years ago & I did not pay for it. I think if Bursa Saham goes to 3000 points by end of this year, Gold Flaked Topping ABC or Cendol will be a common item on food court’s dessert menu. BTW tmw I will be home (yippie!!!). I also don’t like the KIDNEY BEANS!! Whether in Cendol or ABC…I don’t like it. PERIOD.